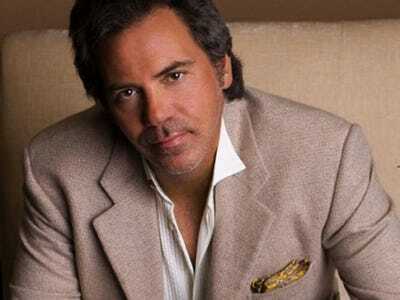 After a long and arduous sale process, complete with allegations of deception, the Pistons have finally found a new owner.Tom Gores will purchase the team for $420, according to the Detroit Free-Press. That’s well above Forbes’ recent $360 million valuation of the team, but below their $480 million valuation from the previous three years. However, the above market-value deal is just a drop in the bucket for Gores, founder of Platinum Equity, who is said to be worth $2.2 billion. Gores founded Platinum Equity, a firm that purchases struggling companies and reverses their fortunes, in 1995 and has built a 30-company portfolio that generates more than $27 billion in annual sales. It’s the 27th largest private company in America. That turnaround experience should help with Detroit and the Pistons. Despite what inspirational commercials may suggest about their city, the Pistons huge decline in value is mostly connected with the local economy, although consecutive losing seasons haven’t helped. But Gores agreed to split the difference in 2009 and 2010 valuations 50-50 with current owner Karen Davidson. Davidson, the widow of beloved owner Bill (who purchased the team for $8 million in 1974), will gladly take that deal. She was reportedly seeking at least $400 million, and thought she had a buyer in Tigers and Red Wings owner Mike Ilitch, but he backed out claiming she deceived him about the teams’ revenue. Ilitch said there was no way she would get that kind of money for the Pistons. And things appeared to get worse for her in January when the franchises’ Forbes valuation plummeted. But Davidson walks away happy from the deal. And Gores, who worked as a telemarketer and janitor to pay his way through Michigan State, is the proud owner of an NBA franchise.